Back cover blurb: Sometimes the past comes back to haunt you. Louise Leighton’s life has fallen apart, all because of one fateful night. Her husband is an adulterer, her sister is his mistress, and soon, Louise will lose everything she owns. But she never imagined she would lose her daughter. Eighteen-year-old Brooke Leighton is missing. It’s up to Louise and the Metropolitan Police to find her. Has Brooke run away? Or has she been taken against her will? And can Louise aid the investigation without mentioning the night where all of her troubles began? If she mentions that night, she will incriminate her daughter for heinous crimes. But if she doesn’t, she may never find Brooke; and if she has been abducted, the person who took her may come for Louise, too. Sometimes the past comes back to kill you. Anything For Her is Jack Jordan's brilliant debut novel and I'm not entirely sure how, but I missed its journey into the literary world last year. And now I'm kicking myself! The novel opens with Louise Leighton's discovery of her husband's affair with her sister. Louise would be the first to acknowledge that things between her husband and herself haven't been perfect recently. Although she is left devastated by the betrayal, Louise can't help but think she deserves it and should have seen it coming. Her teenage daughter Brooke understands her Mothers reasoning but doesn't understand her need to leave the family home immediately. Having fleed to their country house Louise is relieved to be away from her philandering husband and tells herself she just needs to get herself together before going back for her children, her daughter Brooke and younger son Dominic. But someone is determined to make Louise's life more hellish than it already is. When Brooke goes missing after visiting her mother Louise knows it is some sort of personal vendetta but she doesn't fully understand who is after her or why. As the investigation into Brooke's disappearance starts and Louise becomes becomes clear that they will stop at nothing to get what they want. Anything For Her is one of those novels once you have started that you simply cannot put down. 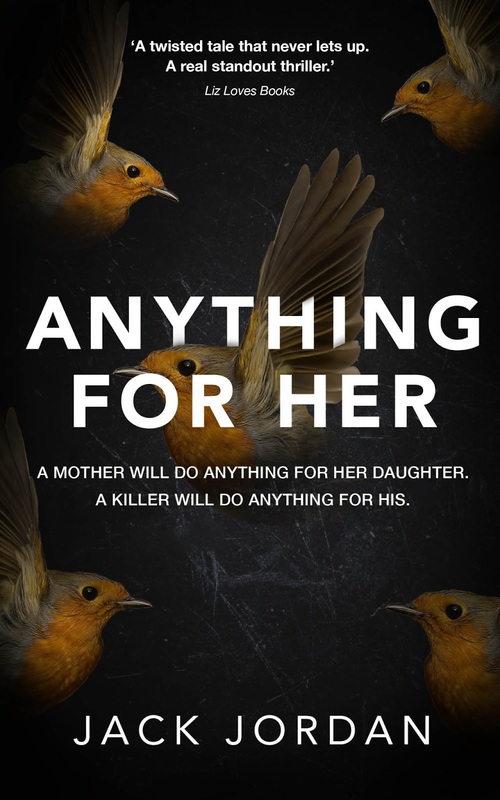 Anything For Her is available to buy now from Amazon online. 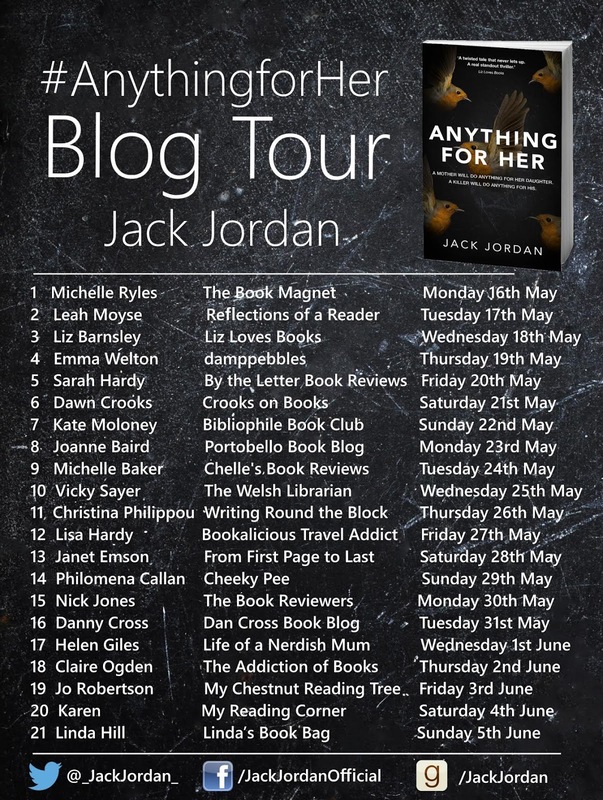 I will also be taking part in the My Girl blog tour on 20 June. 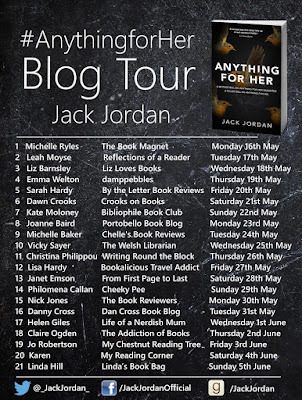 Thank You to Jack who kindly invited me to take part in the official blog tour.